Nothing flashy here, but Century can be a sensible choice for families on a budget. Forget the 4-cylinder models and look for a livelier, quieter V6. That shouldn’t be difficult, as most late Centurys were sold with the V6 engine. Introduced in 1982, like the related Oldsmobile Cutlass Ciera, Chevrolet Celebrity, and Pontiac 6000, Buick’s version of the front-wheel drive intermediate was a longer, plusher derivative of GM’s ill-fated X-car family. 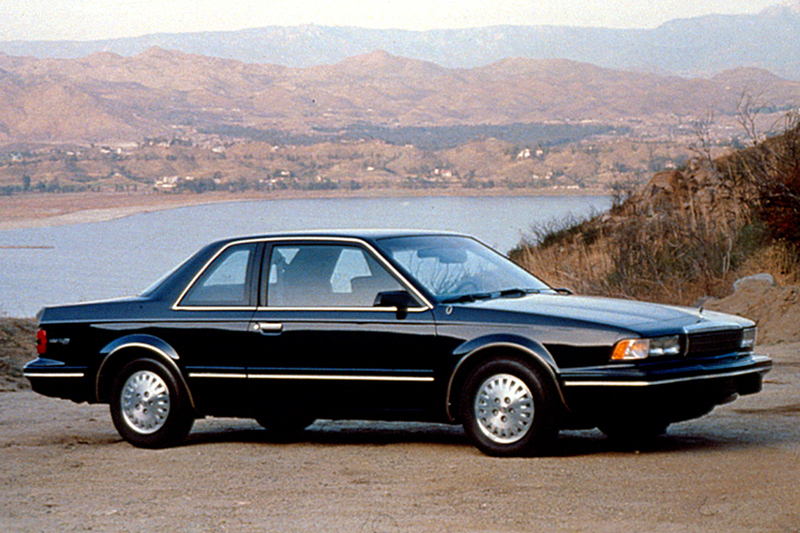 Facelifted a bit in ’89, the Century came in coupe, sedan, and station wagon form. The Custom series included all three body styles, while the more costly Limited skipped the coupe. Air conditioning was standard. A new grille, turn signals, and front-end trim gave the Century a fresh front-end look. Only detail changes were evident in the Century coupe, sedan, and wagon. In addition to the Custom and Limited, a Special series went on sale for a lower price. By now, the related Pontiac 6000 and Chevrolet Celebrity were gone, leaving only the Century and Oldsmobile Cutlass Ciera. A driver-side airbag was added for ’93 (optional on the Special, standard on Custom and Limited). A new 2.2-liter 4-cylinder engine replaced the 2.5-liter. Fuel tanks grew from 15.7 to 16.4 gallons, and rub strips and side moldings were now body colored. 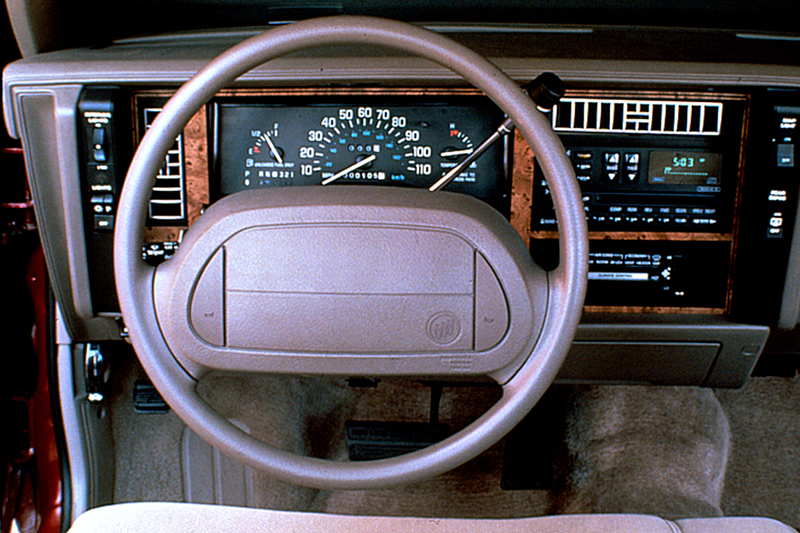 A driver-side airbag went into all Century models for ’94, along with antilock braking. Loss of the Limited sedan and Custom coupe and wagon left only four models: two sedans, two wagons, and no coupes. A 120-horsepower 2.2-liter 4-cylinder engine replaced the short-lived 110-horsepower version. Also new: a 3.1-liter V6, delivering the same 160 horsepower as its 3.3-liter predecessor. The grille was new, too. A new backlit instrument cluster and new seats were the only significant changes for 1995. Engine coolant now was intended to last 5 years or 100,000 miles, spark plugs expected a 100,000-mile life, and a new stainless-steel exhaust system was supposed to be more durable. Otherwise, the Century showed little change for its final outing in this form. All models now had V6 engines except the Special sedan, in which the V6 was optional. 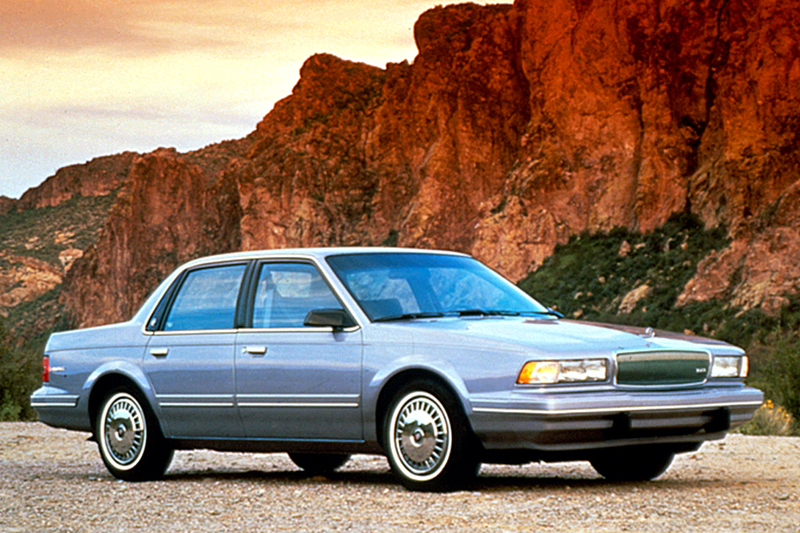 Engine choices in 1990 included the base 2.5-liter four and an optional “3300” 3.3-liter V6, developing 110 and 160 horsepower, respectively. A 2.2-liter four replaced the 2.5 as base engine during 1993, while a 3.1-liter V6 edged aside the 3.3-liter for ’94, driving an electronic 4-speed automatic transmission. A 3-speed automatic was standard on all other models, but the 4-speed unit could be installed on any Century with a V6 engine. 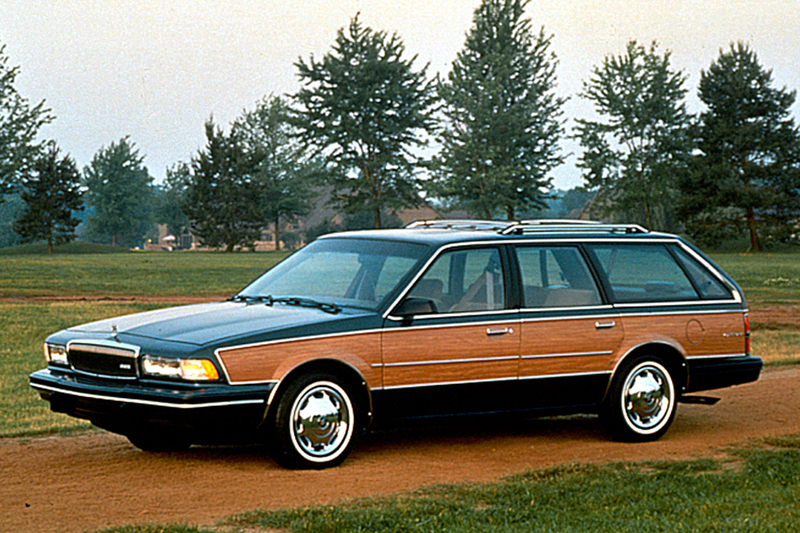 The rough 2.5-liter 4-cylinder engine is barely adequate for sedans, and weaker yet in the heavier station wagon. A smooth, responsive 3.3-liter V6 delivers ample power at low speeds and a surprisingly strong kick under heavy throttle for brisk highway passing. That engine also is fairly quiet, unlike the noisy standard four. Also, the 2.5-liter four did not prove to be trouble free, and fuel mileage wasn’t much better than the V6. We averaged nearly 20 mpg with a 3.3-liter V6 in mixed city/suburban driving. A four gets only about two mpg more. The 2.2-liter four that replaced the 2.5-liter in 1993 isn’t much improvement, lacking the power to move a car this size with any authority. Adding 10 horsepower to the four for ’94 didn’t make it a tempting choice, either. The 3.1-liter V6 installed in more recent models delivers ample power for passing and spirited takeoffs. Century’s Dynaride suspension delivers a soft and reasonably good ride, but handling won’t win any awards. The base suspension and narrow standard tires are fine for gentle commuting, but spirited cornering causes the narrow tires to lose their grip. That suspension absorbs most bumps easily, but the front end bounces over wavy surfaces for a floaty, poorly controlled ride. An optional Gran Touring Suspension, with fatter tires, improves cornering ability but results in a harsh ride. Six adults will fit inside, but four will be far more comfortable. Head and leg room are adequate all around, but three cannot fit across without squeezing. Luggage space is ample, with a deep, wide trunk that has a flat floor. 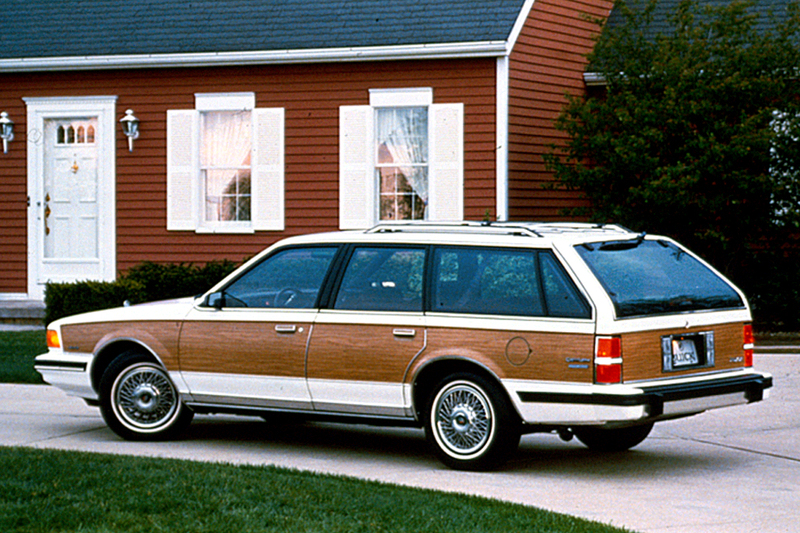 Wagons have an optional rear-facing third seat, for 8-passenger capacity. Front brakes tend to wear out quickly. Many early problems, including trouble with the rack-and-pinion power steering system, were eventually corrected on the later models. Description: Short circuit could set seats on fire. Description: Rear-outboard seatbelt anchors may not withstand required load; in a collision, metal may tear and allow anchor to separate from body. Description: The reverse servo apply pin may bind causing the transmission to remain in reverse when shifted to neutral. Description: Right front brake hose on some cars is improperly manufactured and can cause reduced brake effectiveness. Description: Water can cause short circuit in power door-lock assembly. Description: Improperly tightened spindle nut can cause premature wheel bearing failure. Description: Cruise control cable may separate from the conduit while engaged, resulting in loss of accelerator control. Description: Secondary accelerator control may not return throttle to the fully closed position and could cause a collision.